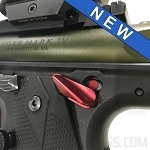 The new "hiveBrid" G10 grip for Ruger MKIV 22/45 offers the best of both words - highly textured toughness and tacky rubber feel. Aggressively textured G10 is paired with the soft, tacky rubber-like material of our “hiveGrip” - for the ultimate control and comfort! 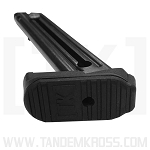 Hex insert is removable to allow for customization - use with or without! 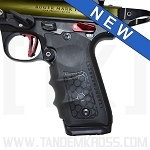 Upgrade your Ruger® MKIV™ 22/45™ with an aggressively textured, but comfortable grip for the ultimate control and comfort! 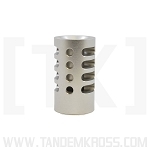 The new TANDEMKROSS “hiveBrid” G10 Grips for Ruger® MKIV™ 22/45™ truly offer the best of both worlds. 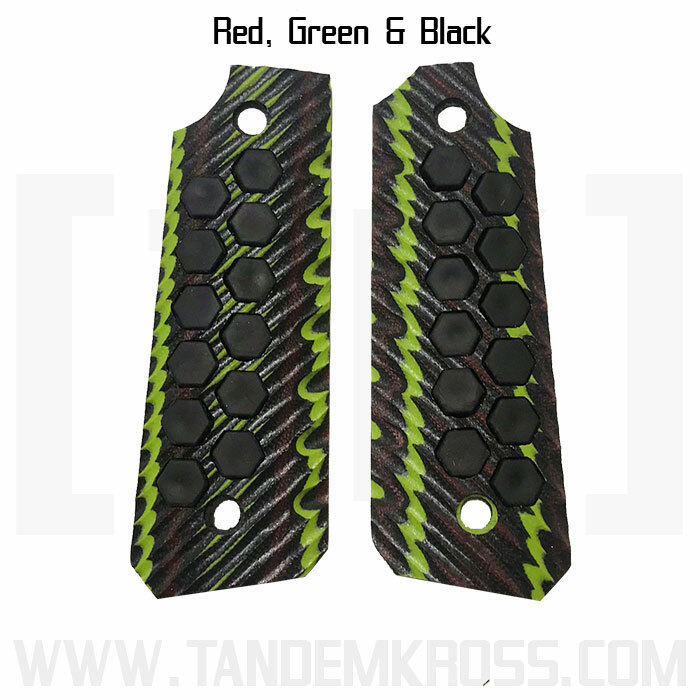 Made from nearly indestructible G10, these durable, textured grips feature a hex-pattern inlay of tacky rubber-like material - the same material as our popular MKIV™ 22/45™ “hiveGrip”! 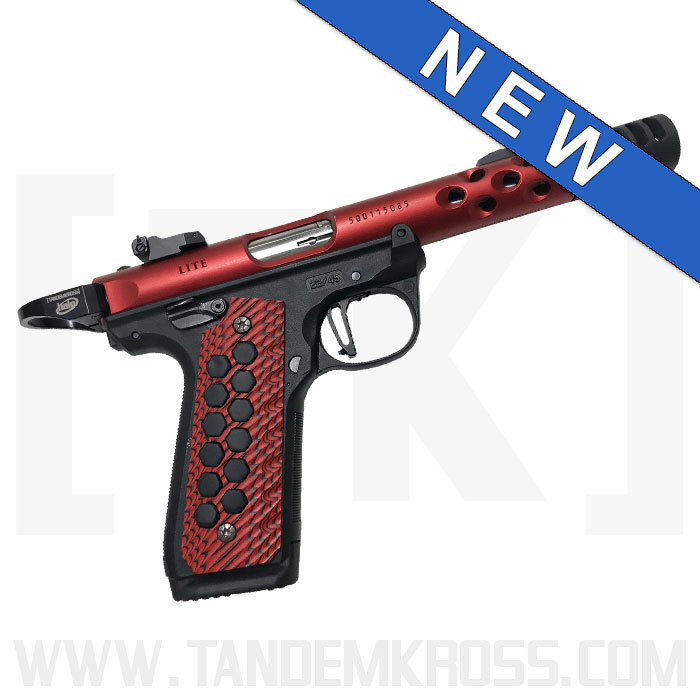 These aggressively textured G10 Ruger® MKIV™ 22/45™ grips are impact, heat and chemical-resistant and available in black or bright red and black. 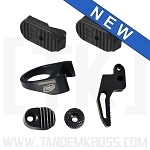 The black rubber-like inserts are highly tacky, adding extra grip in any shooting condition - rain, sweat or gloves! 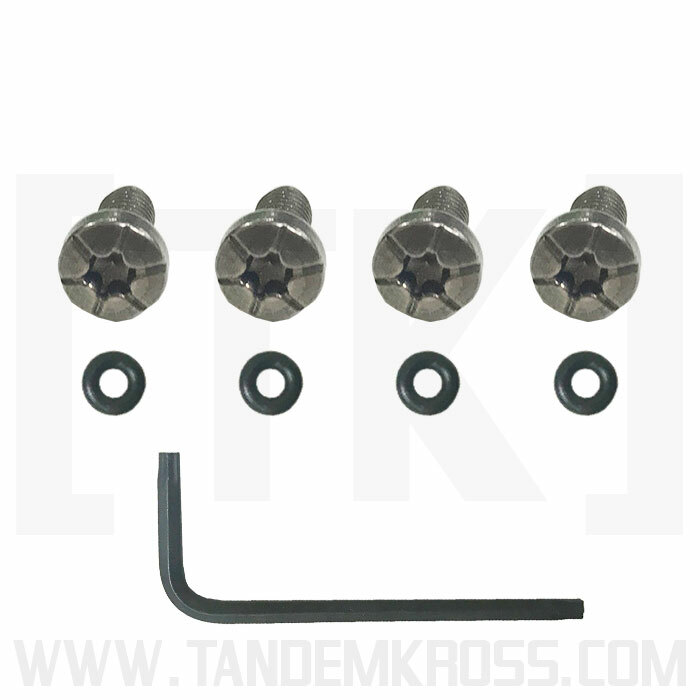 The grips also come with four of our engraved titanium grip screws. 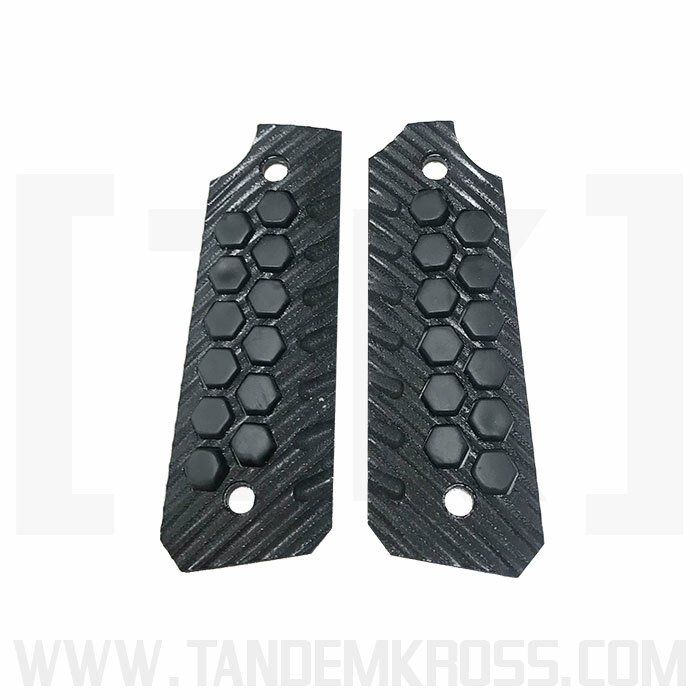 If you want the tackiness of the “hiveGrip” with the classic, aggressive grip of G10, the “hiveBrid” G10 Grips are the ultimate MKIV™ 22/45™ grip upgrade! 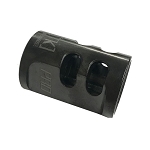 I like the feel of the hive grips, easy to install. Nice add on to my 22/45 lite. Haven’t made up my mind to leave the inserts in or out yet, it’s good to have the option though. The hivebrid grips are everything that they say. 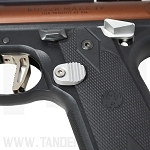 Very comfortable with the inserts, they give you a great grip on the pistol and they look great on my 22/45. 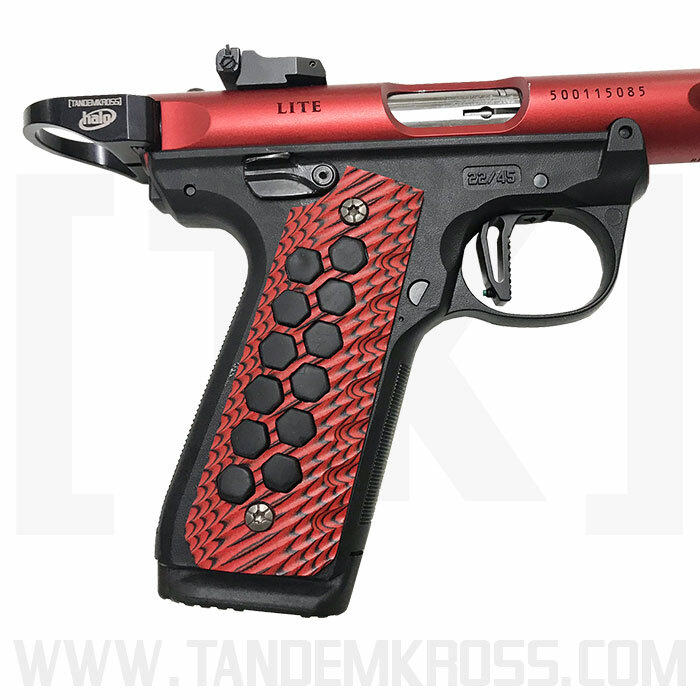 The red matches the barrel and really adds a great look. Feel great & look super.Also like to thank KEVIN in customer support for his help.